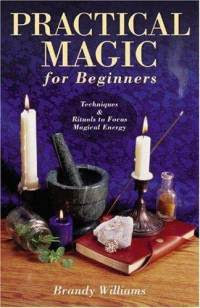 Anyone can practice magic to improve their everyday lives. Practical Magic for Beginners is a straightforward introduction to magical practice for Christians, Pagans, Jews, atheists, and people of all religious traditions. This comprehensive training course presents the foundations of spellcraft and ritual magic through short, simple exercises. Readers explore their energy and senses, and then move on to developing skills in extrasensory perception, divination, and introspection. Magical timing, magical processes, ritual space and tools, journaling, and dreamwork are explained and discussed in depth. This nondenominational guidebook also includes twenty rituals related to friendship, love, prosperity, health, and other common concerns.